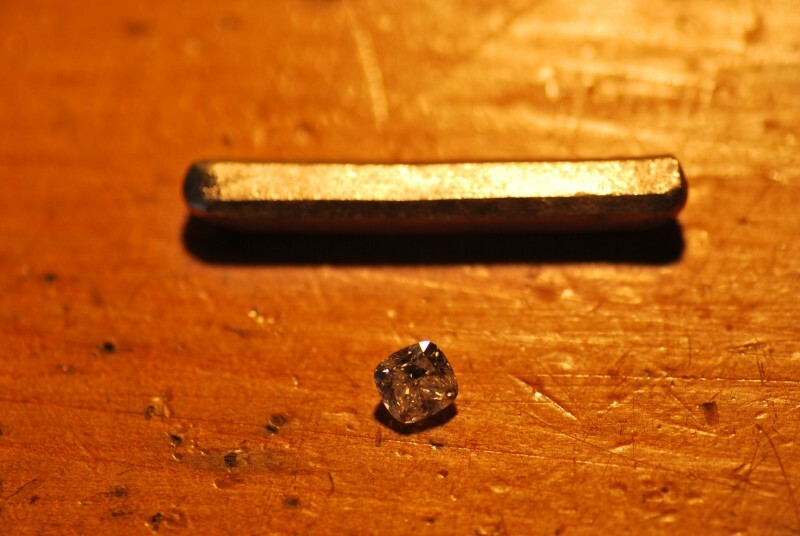 It’s nice to see how an object of fine jewellery is made, so I’ve photographed the stages while I was making this diamond ring and you’ll see it taking form from a bar of platinum to the finished diamond engagement ring. 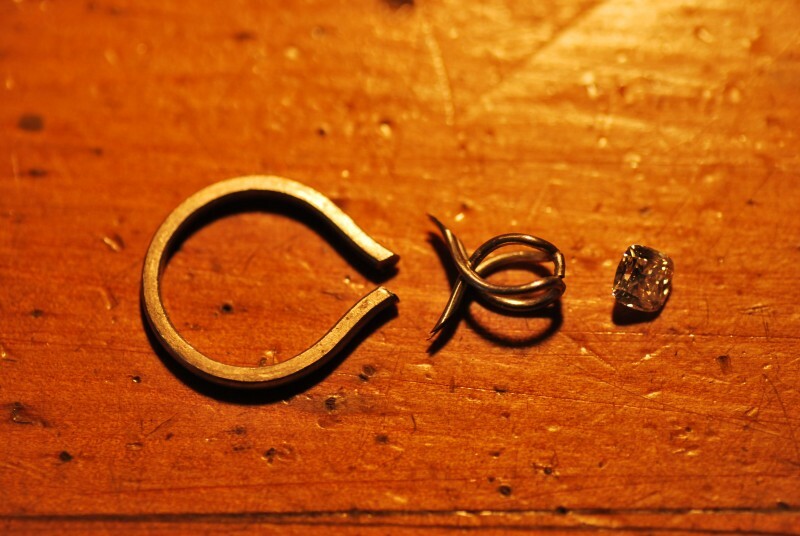 This cushion or antique cut diamond and kiss claw ring was a pleasure to make and I hope you enjoy watching it evolve. 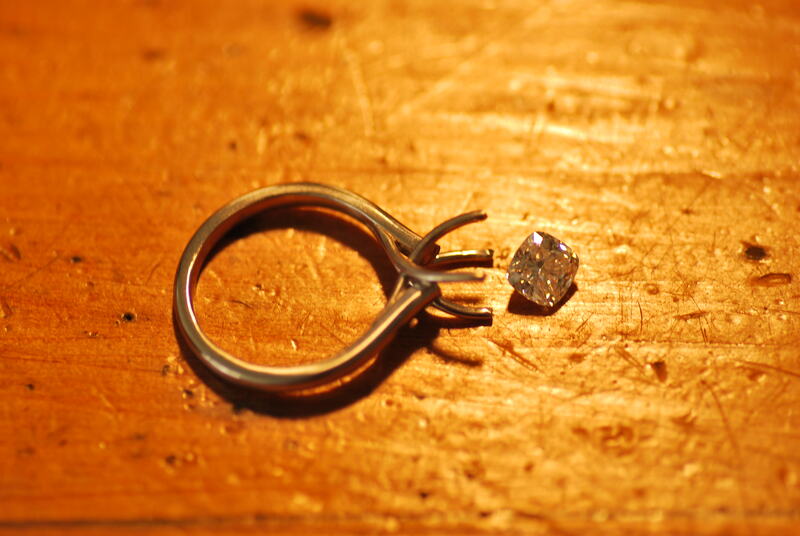 After rolling out the platinum and bending the wires into shape we have the first semblance of a diamond ring. Handmade jewellery that is personally hand crafted for you has a quality to it which cannot be described in words. 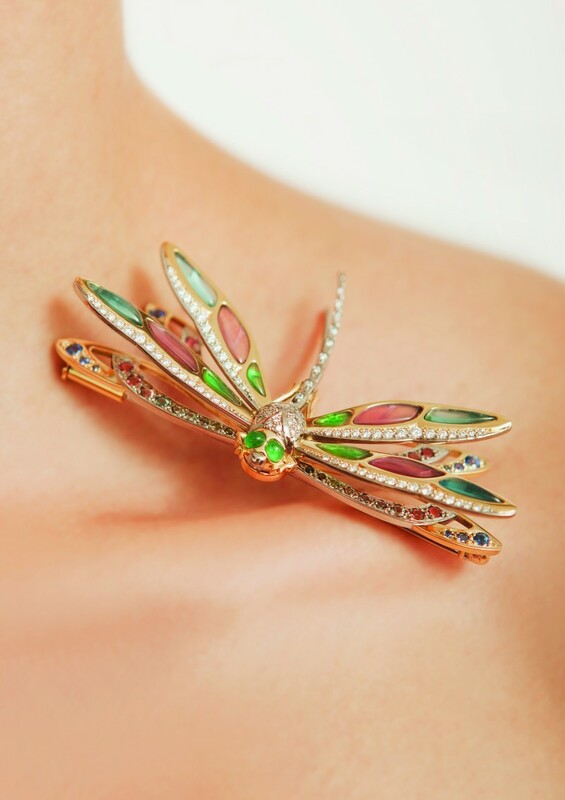 Hand crafted jewellery is like a work of art with significant personal value. 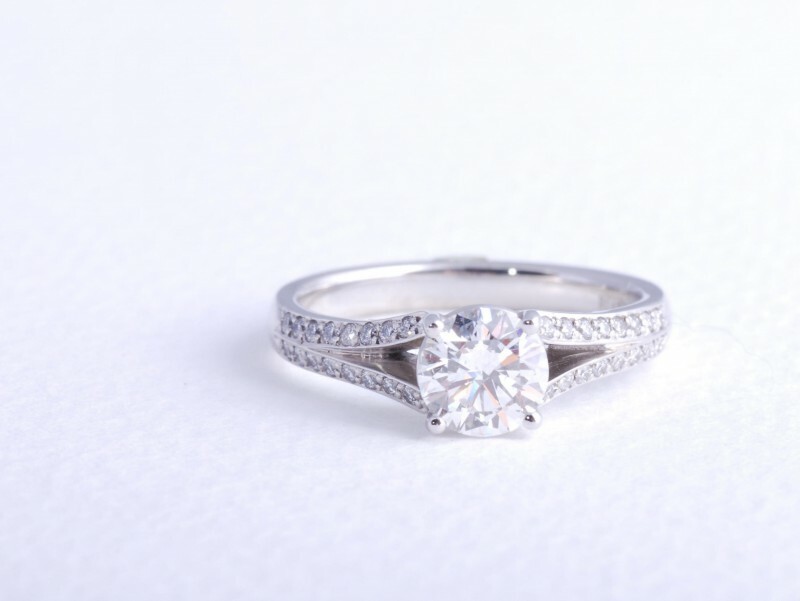 We recently finished working on a handmade engagement ring set with a brilliant cut diamond; one example of handmade jewellery showing its classic quality and premium elegance. Just in case you didn’t see this NZ Herald article, I’ve included the link here. Recently we were approached by a business journalist from the NZ Herald who was interviewing four successful New Zealand based jewellery businesses. They were to be published online and one would be selected and published in print. On Monday morning I received an email from the business journalist saying that our article had made it to print and that the newspapers were in the stores already. On the odd occasion I come across a gemstone that is the type anyone would want to write home about, in detail. One that is perfect in every way, with a colour that is delicate and powerful and shines as if it were alive. This happened to me recently. 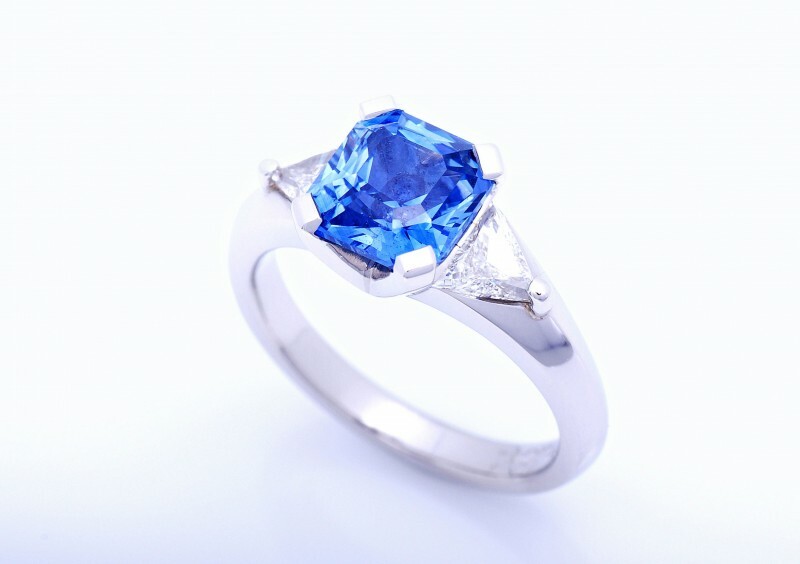 It is a sapphire, which I suspect is one of the most beautiful blue sapphires in New Zealand. It weighs a prestigious 8.7ct and is cut into a perfectly proportioned oval. Gemstone mines in different locations each produce gems that are characteristic of that particular district, and some locations have become famous for producing the most beautiful gems. For thousands of years Ceylon has been revered as a source of exceptional sapphires that hold the finest hues, a medium blue tone that glistens with full life and scintillation. 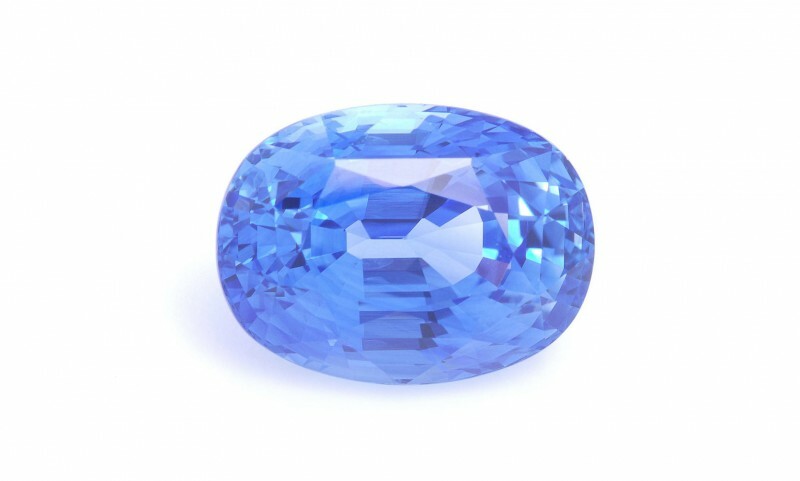 This oval sapphire whose beauty I am extolling is of Ceylonese origin and I would be delighted to welcome you in to the studio to see it. This year we will be exhibiting at both the Grand Wedding Show on the 13th of April and The Bride and Groom Show on the 4th of May. These are great events and we have a limited number of free entry tickets available if you were to call us on 09 525 3935. We will arrange to send one to you. Please note this is on a first call, first served basis. The last few months have been very busy with jewellery design and many fantastic custom-made jewellery items have been created. 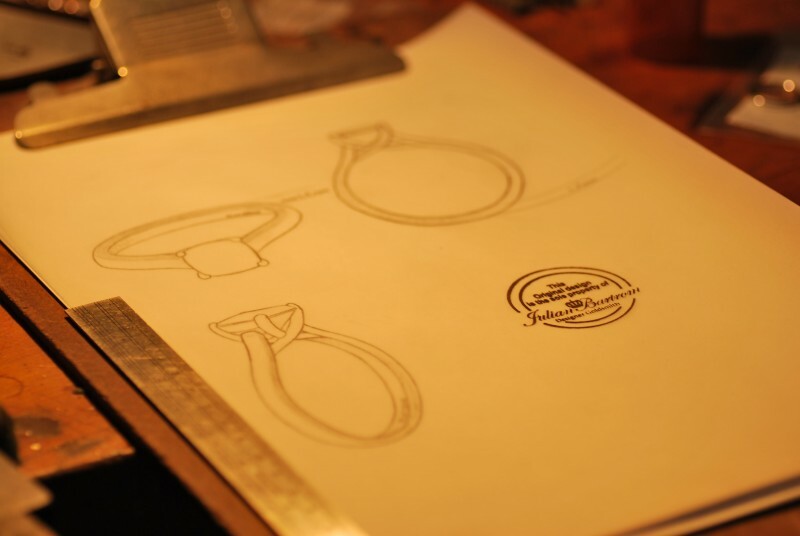 Considering that our fine jewellery is meticulously made using some of the world’s hardest and most inert natural materials, like diamonds and platinum to name a few, we know that these pieces will be appreciated for many decades. Recently clients have been realizing the benefits of jewellery remodeling and having their diamond jewellery and gold chains remodeled into moderns jewellery pieces with history. It has been very rewarding to be a part of this process. Recently returned from California with many colour diamonds, Julian Bartrom’s stock of high-end gems is flusher than it has ever been; we now have a selection of the finest quality black diamonds, and one very rare, fancy pink diamond. In colour stones we have a set of classy blue tourmalines for earrings, a couple of huge designer-cut citrines, some classic cut, fine quality sapphires and emeralds and many other beautiful big gemstones. 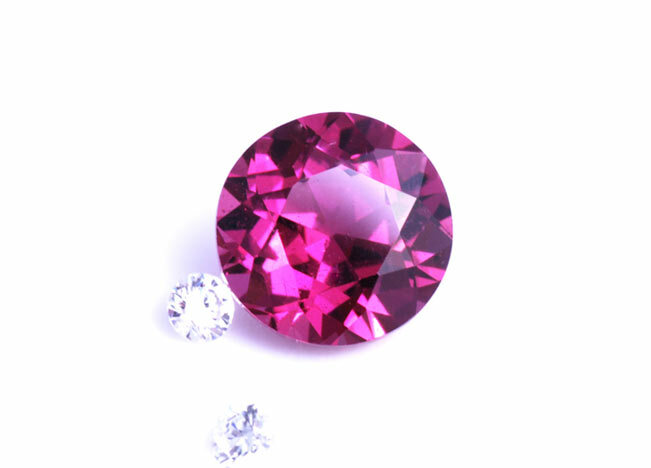 Already one or two clients have asked for a gemstone to be put aside and we are in the process of designing some unique pieces of jewellery with these stones, which they will to be able to wear for Christmas. 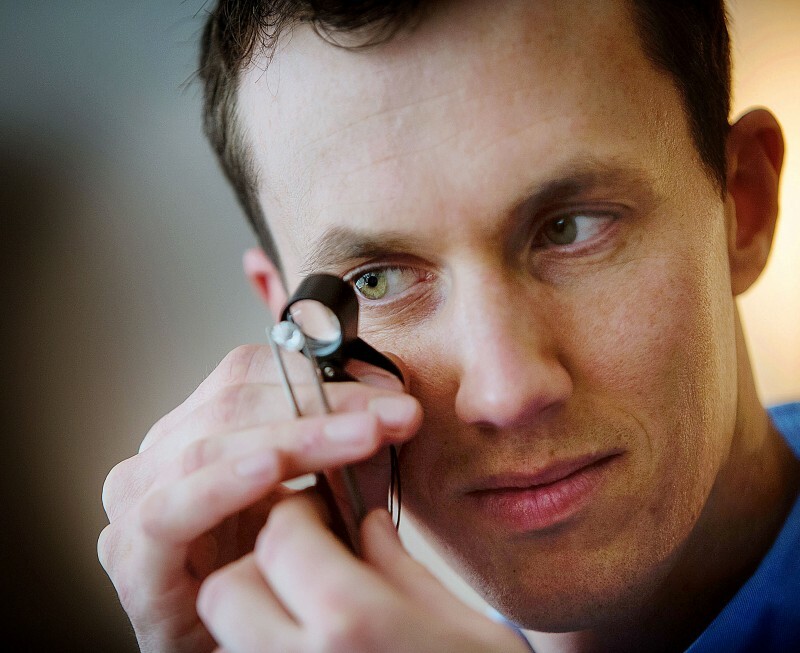 With the completion of the diamond portion of his training, with the Gemmological Institute of America (GIA), Julian is now qualified as a Diamond Graduate. The GIA is renowned for developing the ‘Four C’s’ by which diamonds are graded worldwide; ‘Cut, Colour, Clarity, and Carat weight’. Most diamonds today are accompanied by a GIA certificate, which describes every characteristic of a diamond or gem and helps determine value. 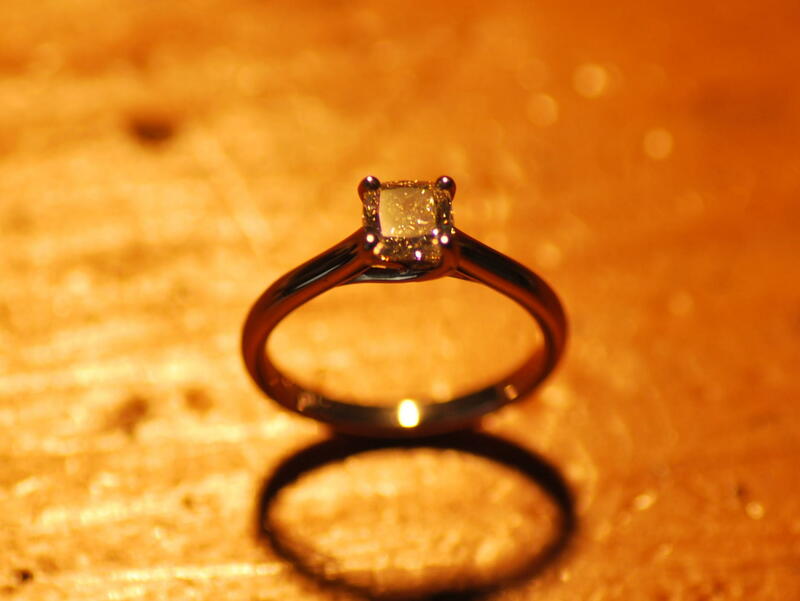 Upon completion of the GIA Diploma, Julian will be qualified to grade stones and to verify that a diamond is authentic and matches its certificate. 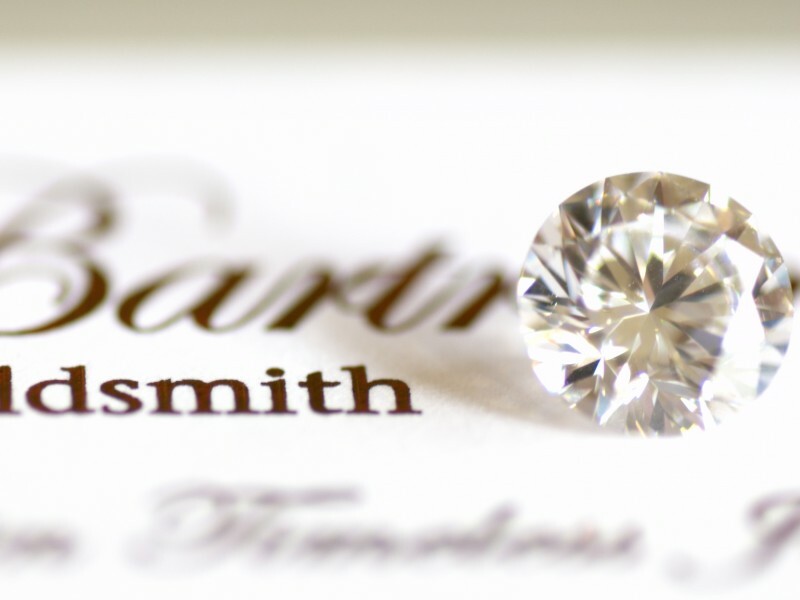 On September 4th Julian Bartrom will be making a trip to the United States to do a Diamond Grading and Gem Identification Course with the Gemmological Institute of America (GIA). During his time there he will be meeting with many fine gemstone suppliers and will be bringing back quality gemstones to replenish stocks. Emeralds, sapphires, and fancy colour diamonds are on the list and Julian is hoping to bring back some large gemstones and more unusual cut gemstones that speak for themselves. If you have any specific gemstone requirement that would otherwise be hard to find, please let us know and Julian would be very happy to look out for it during his trip. Julian returns on October 10th. All stock will be held in a bank safe in town and anyone is welcome to view these stones by appointment.